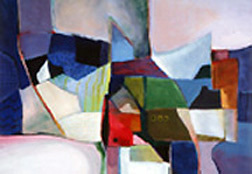 member 2007 to 2010, Dallas Fine Arts Calendar. Flight Station, watermedia, 22" X 30". My Sweet Little Village, watermedia on paper, 21" X 30". 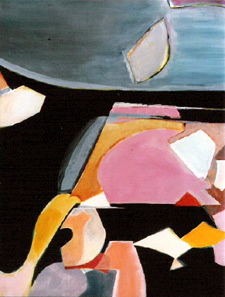 Earth View, acrylic on canvas, 34" X 34". 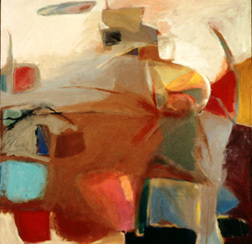 This painting was invited to be exhibited at the Westmoreland Museum of American Art in Greensburg, PA, curated by Barbara L. Jones, in a show of 13 of the students of Samuel Rosenberg during his retrospective. See page two for more information. 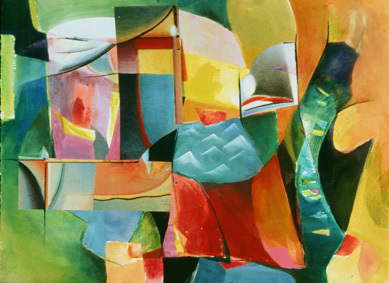 Girl of the Golden Gate Bridge, watermedia/ collage, 22" X 30". 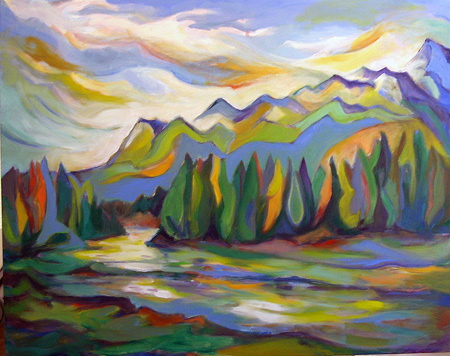 Canadian Rocky Mountain Rhythms, oil on canvas. Palette Magic, acrylic on paper, 22" X 22". 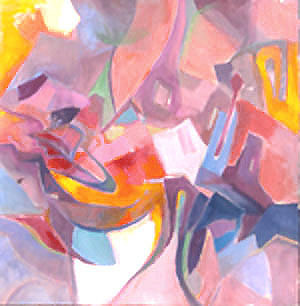 Joyous Song, oil on canvas, 30" X 30"